We specialize in Business Telephone Systems. We provide digital or analog telephone and voicemail systems, as well as Voice over IP solutions (VoIP). We can also support your existing telephone hardware and PBX or IP-PBX. We are fully staffed with around the clock telephone technicians as well as computer engineers with in depth knowledge of Asterisk, Elastix, Freepbx, PIAF, Avaya, Panasonic, and Nortel – Just to name a few. Our voice services allow you to take full advantage of the latest in technology. So whether your connecting to the public telephone network via T-1, PRI, VoIP, POT’s, BRI, and etc. or your looking for new service. We have you covered. Alpha Computer Group is a leading global provider of next-generation business collaboration and communications solutions, providing unified communications, real-time video collaboration, contact center, networking and related services to companies of all sizes around the world. We provide our customers in Long Island, New York; Including Nassau County, Suffolk Count and the entire NYC area with the systems to collaborate real-time, whether they are in the office or on the go. Our phone system standards allow our customers to deploy systems in a VM environment or on physical provided system platform. Customers with multi-vendor environments can supplement their current solutions with Alpha Computer Group’s collaboration applications. This allows organizations to deploy applications at their own pace without having to do a traditional forklift upgrade on their current investment. You want your business to grow exponentially. You also want the peace of mind that your infrastructure systems will grow along with your business. Whether your business needs more phones in its current location, or has satellite offices around the country – an IP system gives you more flexibility over a proprietary system. There is no need to have a separate system from your data network, no need to have expensive analog desk phones, and no need to rewire your proprietary system to accommodate offices changes. Alpha Computer Group’s goal is to help our customers affordably improve the flow of communication and access to necessary data with the proper collaboration tools. Contact us today for a free no cost – no obligation estimate! Purchasing the right phone system is important for the success of your business. There are many factors that come into play when deciding between a hosted and premises-based solution. Each has its strengths and weaknesses. To make the best decision sign up for a free consultation with an Alpha Computer Group telephone specialist.We can provide you with additional information, tips, and advice regarding your communication needs to ensure you end up with the best phone system for your business.Are you moving, adding offices, adding employees, connecting remote offices, connecting work-from-home employees, or fed up with your old phone system? A new phone system can increase productivity, reduce costs, improve customer satisfaction, and strengthen your competitive position. Call Alpha Computer Group today at (877) 608 – 8647. Receive calls from smartphones, tablets and PC’s ensuring that your workforce will remain productive without being tethered to one location. Presence and collaboration tools let you know who’s available when you need to share information. Coach and train your employees and agents effectively. Screen capture tools that allow you to combine video from the desktop and synchronize it with the recorded voice. Reports and dashboards that provide both agents and supervisors with actionable data. This information can be monitored from smartphones and tablet devices. Compliant with HIPAA and Sarbanes-Oxley to keep your data safe. Cickly locate key words or phrases within call recordings with Speech Analytics. Easily create customer satisfaction surveys to receive feedback from clients. Gain Visibility into the calling patterns of the business by tracking all of the calls in and out of your telephone systems. Increase the productivity and efficiency of your sales and customer support teams. Easy to use and compatible with all types of telephone systems. Self-amplified and central-amplified speakers, paging amplifiers, modular zone paging equipment, and digital telephone peripheral equipment. 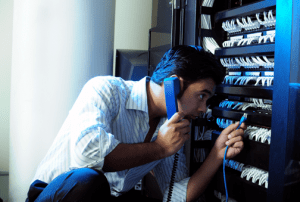 We engineer IP paging systems and speakers that utilize your data network infrastructure. Long Island Telephone Systems. New York Telephone Systems. Queens Telephone Systems. Brooklyn Telephone Systems. NYC Telephone Systems. Nassau County Telephone Systems. Suffolk County Telephone Systems. Nassau County VoIP. Suffolk County VoIP, NYC VoIP, Brooklyn VoIP, Queens VoIP, Long Island Voip.